Okay, I had some fish and chips, too. 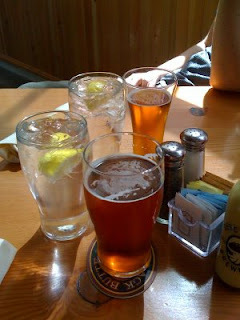 The Deschutes brew was good, but it wasn't enough to keep us in Portland for long. The road beckons. Darling Todd, I'm in complete agreement with you, why people would want to go to Poland escapes me but it's still a sight better than Canada.